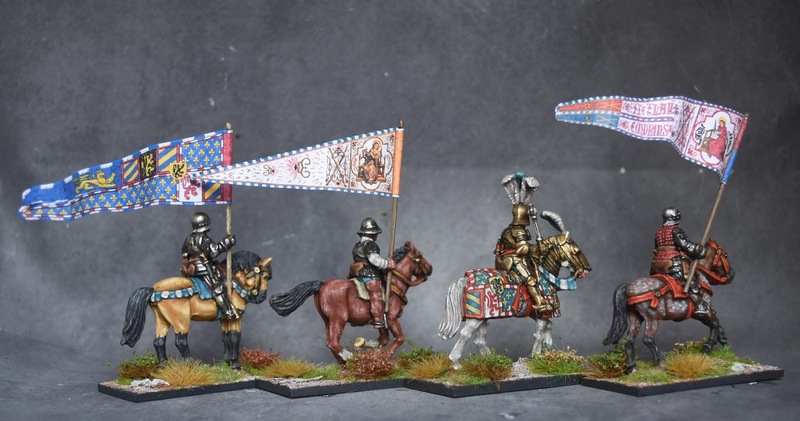 A break from 100 years war, a few months ago i had a clear out of late medieval figures, mostly perry plastics( i never took to them) and a few bits of front rank, but salvaged a few perry cavalry metals. The motive being when i printed out a load of 15mm Burgundian flags i also printed a few to fit 28mm scale, and it was a shame to waste them. 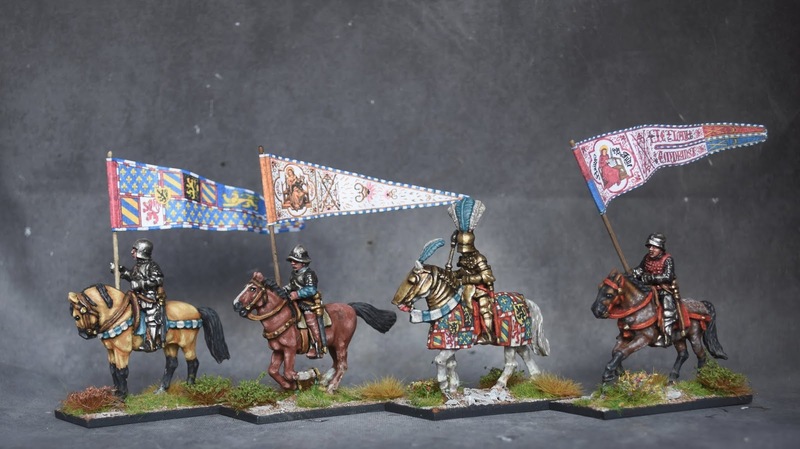 The Duke is a plastic figure with added plumes on a metal horse. 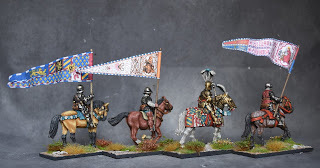 Gorgeous work on the barding! I really like the Perry plastics for this period,I think they're consistent and animated,but of course it would mean you'd have to paint up 40of the buggers which to your standard would be time consuming to say the least! Thankyou Iain, the Perry plastics are nice, but for some reason i just could not make the move from metal to plastics! Your work on the Duke's Arms is just superb! I can't believe how many great figures you are painting up at the moment. Thankyou Oli, i think a 2 year break from 28mm medievals has refreshed my enthusiasm, i dont know how long it will last!